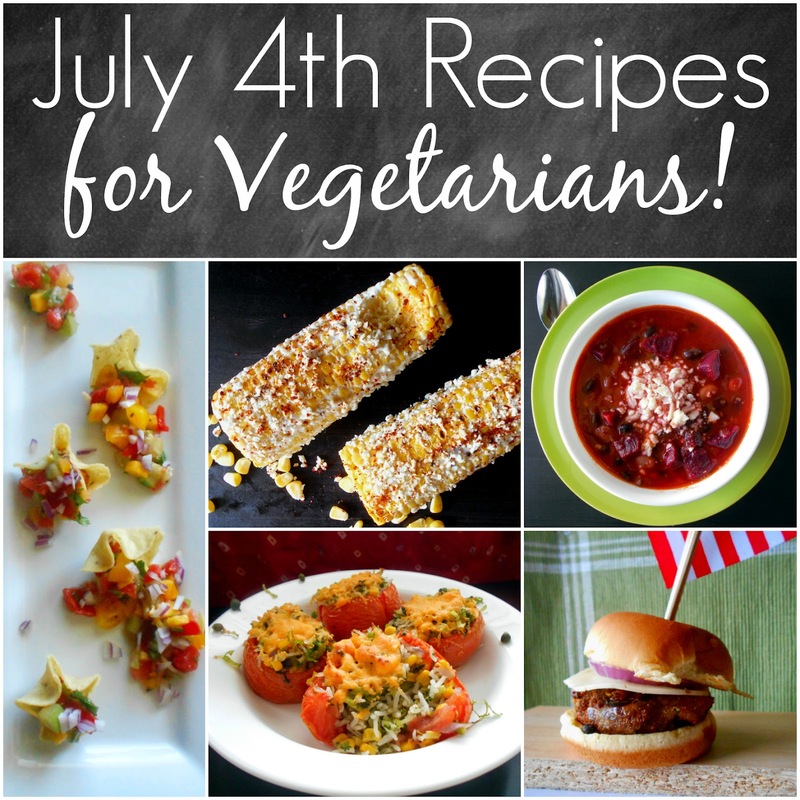 5 Vegetarian Dishes for July 4th from Rini! ~ Diane's Vintage Zest! 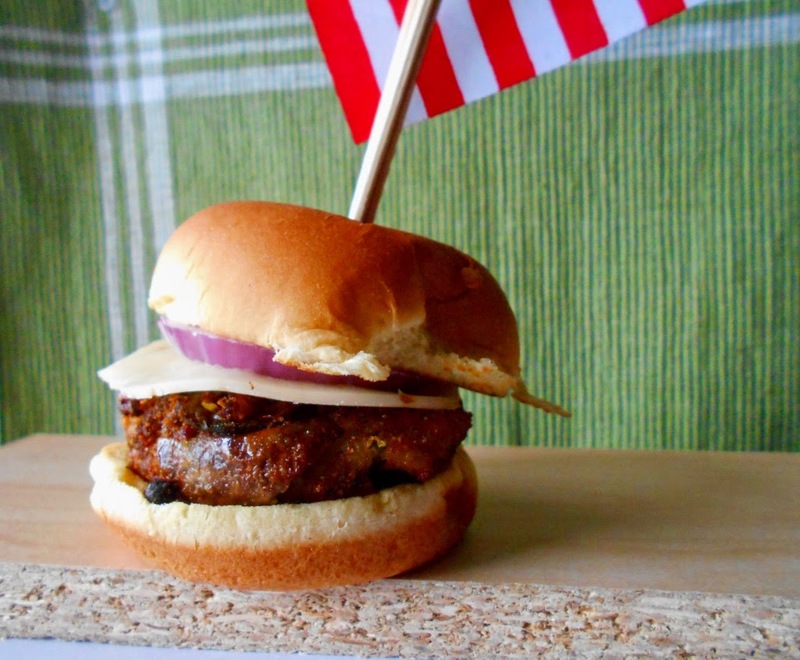 5 Vegetarian Dishes for July 4th from Rini! This is one of the last recipe guest posts for the month, and it's a special holiday round-up with a collection of five recipes. Yep, it is ending with a bang from today's post courtesy of Rini of Healing Tomato! As you already know, I love tomatoes and many of the recipes I share here vegetarian or rely heavily on vegetables, but Rini has the vegetarian thing all wrapped up! Today, she is sharing some great dish ideas for your July 4th bash for vegetarians and veggie lovers alike! I am drooling over the corn, and laughing over her vegetarian woes. :) Check it out! You must be wondering why I am stating the obvious. Truth of the matter is that, I am sick AND tired of sucking on lemon wedges at July 4th barbecues!!! Whenever I show up at a Barbecue on July 4th that I was invited to, I am surprised to find that there is nothing for me to eat. The host has known about my dietary restriction from the first second they met me, yet, they don’t have even a simple baked potato at their barbecue. So, on behalf of all vegetarians, I give you these 5 extremely simple recipes that will make your vegetarians guests very happy and well fed. Everybody makes chili on July 4th! So, why not make a wonderful vegetarian version? 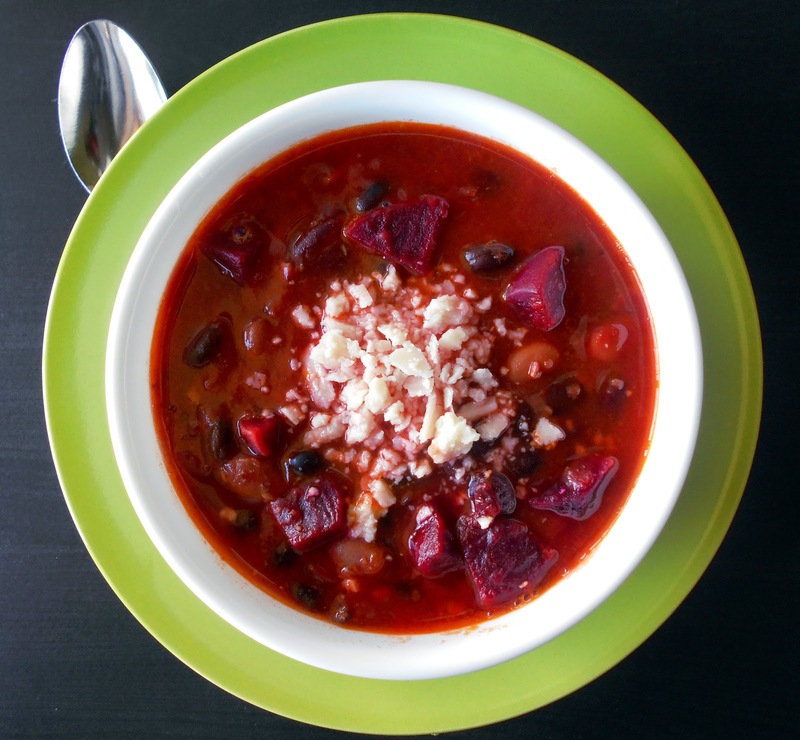 It requires very few ingredients and can even be made by adding a few beets in it. Sure, the beets provide color. However, they are very nutritious. You can sleep well knowing that you provided vegetarians with Vitamins and protein that is desperately lacking in their diet! I always hate seeing burgers being grilled at a barbecue, yet, the vegetarians are forced to chew on carrots! GIVE ME A BURGER TOO!!! So, I came up with a great burger recipe that is easy to make and it will give me a full belly! The best part is that I found a way to work carrots into it. 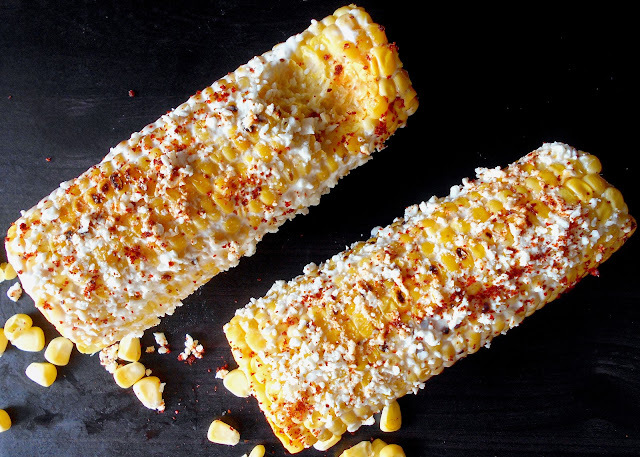 If you are grilling corn, why not grill one for the vegetarian. In fact, this particular corn recipe can be enjoyed by even the grumpy meat eaters!! Take those humiliating lemon wedges and rub them on the grilled corn. Then, sprinkle some Cajun pepper and Cotija cheese on it! You have a great corn recipe that will get the meat eaters and the vegetarians to do the Mexican Hat Dance together! Olé! Vegetarians can be a stuffy, chin-in-the-air kind of people! So, why not stuff it to us! Take a bunch of tomatoes, remove the insides and stuff with cooked rice, Capers, cilantro, broccoli, corn and onions. Top with cheese and shove them inside a grill. 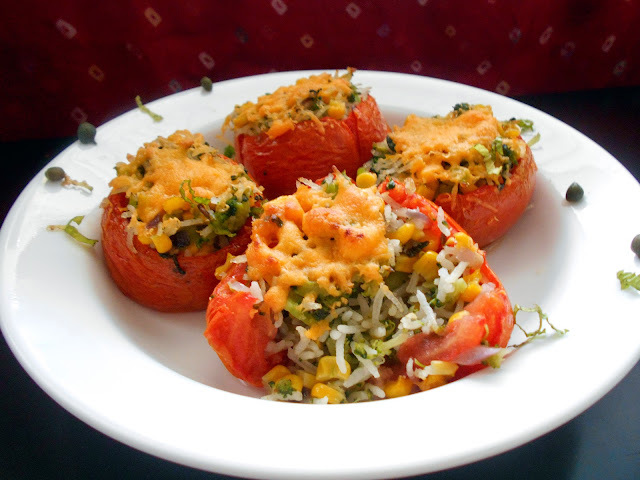 After a few minutes, you will have a dish that is also a great metaphor for the vegetarian – the stuffed vegetable! If all else fails, just hand the vegetarians a bag of chip and the 5 tomato salsa. Put the vegetarian in their corner and you won’t hear a peep out of them for the rest of party. Except maybe the occasional crunch from the chips they are munching on. So, here’s hoping I don’t have to be a sour lemon faced vegetarian at the 4th of July barbecue that all of you have been so kind to invite me to!!! Looks festive and perfect for your July 4th bash, right? Remember to say hello to Rini at Healing Tomato, and keep up with her on Facebook, Twitter, Instagram, Google+, LinkedIn, and Pinterest! Do you cook vegetarian dishes often? These recipes all look fantastic! Pinning and making some this weekend for the holiday! Great! Glad Rini could help you out! Ohh yay! This vegetarian thanks you. :) Pinning! Everyone needs more veggies in their diet. Pinned this to my veggie meal board. Thanks for sharing this on Merry Monday.